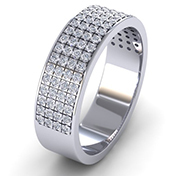 Wedding ring designs for men and for women have evolved to become very diverse. 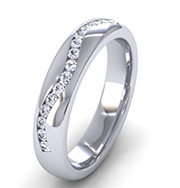 While options are still available for those who prefer a classic and traditional style, there are also many other alternatives for those with different preferences when buying wedding rings online. 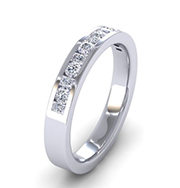 At diamondrings.co.za we are confident that we have the perfect wedding rings to suit every South African and foreigners taste. 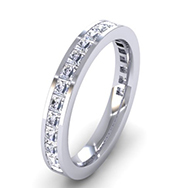 When deciding on the best wedding rings make note of what it is that you and your partner like and are looking for, this will help you narrow down your choice when browsing through wedding ring designs. Think about metal alloys. 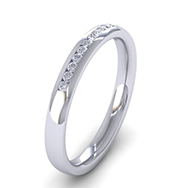 Will both of your rings be made out of the same precious metal, like matching platinum wedding rings? 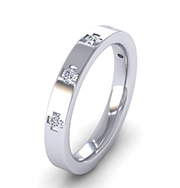 Or perhaps both of you prefer different colour precious metals, but would still like to have wedding rings that reflect each other’s style? In this case two-tone gold could be a great option. Consider your life-style too. 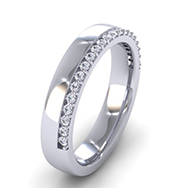 If you work with your hands or lead an active life then diamond bands made from a harder metal (like platinum) might fit your needs better. 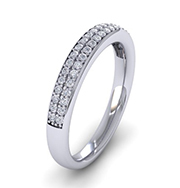 Rounded as opposed to squared diamond bands will also be more suitable for the dynamic life style. 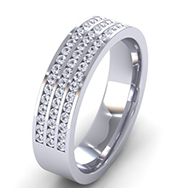 Whatever you decide, defining these guidelines will help you single out your preferred ring design. 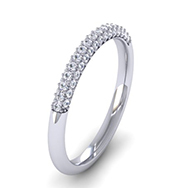 Diamonds do not only increase the investment value of the wedding ring itself, they also add a unique aspect to the design. 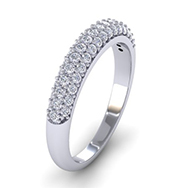 The wedding ring represents infinity through its circular form, diamonds add to this meaning – suggesting the infinite strength of ones commitment to marriage. 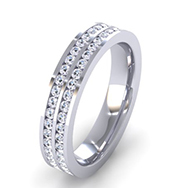 Being a top online retailer providing rings for a diverse market in South Africa, we have both understated and extravagant options for both men’s rings and women’s rings. 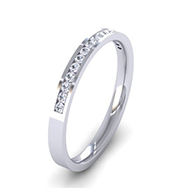 When buying a wedding ring for a woman, the fact that the engagement ring is traditionally worn on the same finger should be considered. 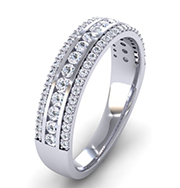 The two rings ought to blend well together and should be comfortable as both wedding rings and engagement rings are usually worn most of the day. You can either choose from individual wedding ring and engagement ring designs or from our beautiful diamond wedding ring sets, this insures that both rings match each other perfectly as they are made as a set, to be displayed together. 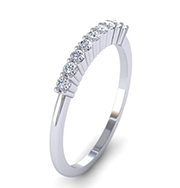 As our diverse range of diamond rings are customizable, both you and your partner will be able to find a complete set of diamond wedding rings that suit your particular needs.